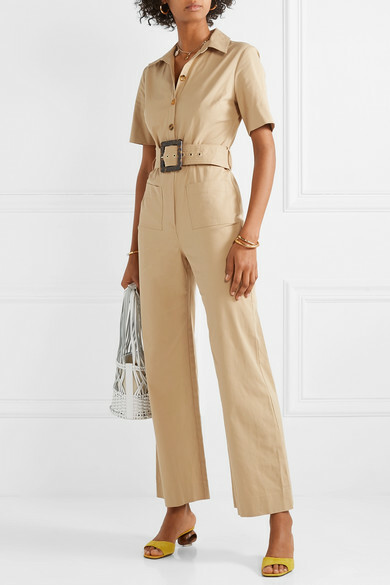 Utility dressing is one of this season's biggest trends, and STAUD's 'Davey' jumpsuit allows you to work it with ease. 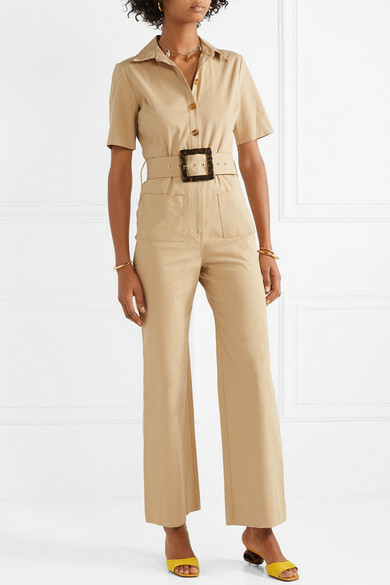 It's made from cotton-blend gabardine and is slightly fitted at the bodice before falling to wide-leg pants. 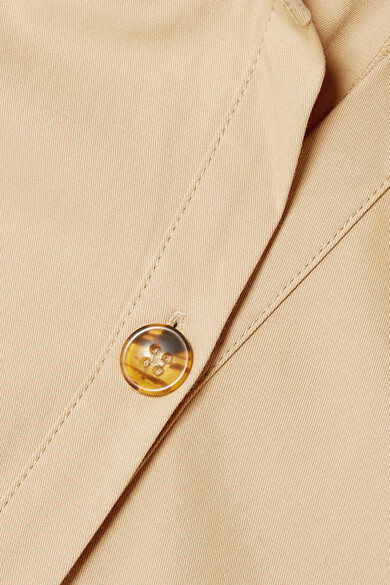 The tortoiseshell-effect belt buckle draws the eye to your narrowest point. Shown here with: HEREU Bucket bag, Neous Mules, Dinosaur Designs Earrings, Alighieri Bracelet, WALD Berlin Necklace, Sophie Buhai Cuff, Alighieri Necklace.